If you haven’t already finished your Christmas shopping, this competition is for you! For this week’s giveaway, we’ve teamed up with Kenneth Green Associates to treat one lucky reader to an incredible fragrance hamper (worth over £350). From the new and delicious Elie Saab fragrance launch, right through to the sought-after KENZO WORLD scent, this competition is any fragrance lovers’ dream. 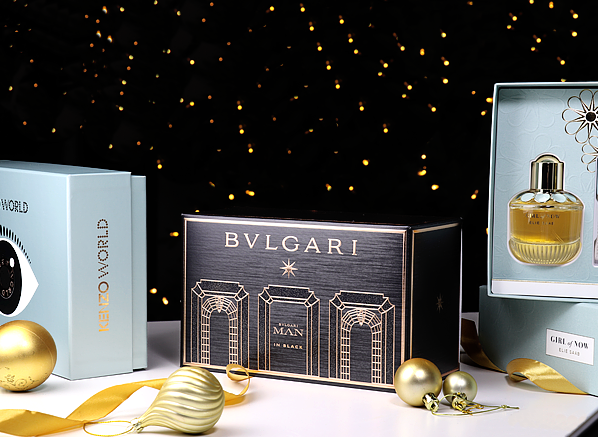 Comprising of 6 gift sets in total, we’re offering you the chance to win 2 for men and 4 for women – you could even keep one back for yourself! The competition will end on Friday 22nd December, and the winner announced on the same day before 12pm (this is to make sure you receive your prize in time for Christmas morning). The competition is open to UK residents only. Best of luck! No purchase necessary. A purchase will not improve your chances of winning. Open to UK residents only. Contest begins 15th December 2017 and ends 22nd December 2017 at 9:00 am. Winner will be selected in a random drawing on or about 22nd December 2017. One prize winner will be drawn. If the winner doesn’t respond within 7 days, the competition will be redrawn. Prizes must be accepted as awarded; not redeemable in cash or credit. This entry was posted on Friday, December 15th, 2017 at 8:15 am and is filed under Brand Focus, Christmas, Christmas Gifts, Competitions, Fragrance, Men. You can follow any responses to this entry through the RSS 2.0 feed. You can skip to the end and leave a response. Pinging is currently not allowed.